At least 400 delivery boys employed by Flipkart and Myntra struck work beginning Monday, accusing the e-commerce companies of denying them the most basic employee benefits, including toilets at the workplace, fixed duty timings and a six-day work week. With pickup and delivery services coming to a halt at several major operations' centres in the city, close to 5,000 packages remained undelivered, according to those manning the dispatch units. The striking workers, affiliated with Raj Thackeray's Maharashtra Navnirman Sena, have listed 20 demands in all. "All deliveries have stopped since Monday as nothing has been done despite our efforts to convince them (Flipkart and Myntra)," said MNS Kamgar Sena secretary Sachin Gole. "They are just not willing to have a meaningful dialogue with us." While they stopped collecting goods meant for delivery from the Flipkart's distribution offices at Fort, Lower Parel and Tardeo on Monday, MNS workers on Tuesday tried to stall shipment from being received at Flipkart's storage hub at Andheri MIDC and Myntra's facility at Vikhroli. Those that deliver packages for Myntra are reflected on the company's rolls, while their counterparts at Flipkart are on contract from third party vendors like Chaque Jour. "Our demand is that labour laws are to be followed and worker entitlement schemes like Employee State Insurance be provided. This in reality extends to all e-commerce retailers and is not limited to just the two striking units," MNS corporator Sachin Dhuri said, adding that party workers were in already touch with delivery workers from other e-commerce firms like Amazon. According to the union, of the 400 delivery workers, about 350 are bike riders, who are not provided medical assistance in the event of an accident. 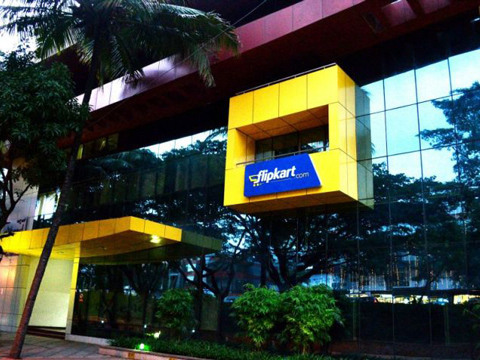 Avinash Kamble, MNS' union leader at Flipkart, who has delivered packages for Flipkart since 2011, said the dispatch centres "lack basic facilities like a washroom". "We have to make use of public toilets. The fact is that despite being specified in the labour laws, they have not been provided for. This is really frustrating," he said. Striking workers said they are required to report to work at 7 am. "This is recorded by a biometric device. After this there is no specified end to the workday. Apart from deliveries in recent times the number of products requests to have products picked up for return has increased. Workers get no incentive for returning to the customer's doorstep for the pickup. We have asked for at least Rs 10 to be paid each time we pick up returned goods," Gole said. An Ekart spokesperson told Mumbai Mirror, "As India's largest e-commerce logistics force, we offer delivery teams a salary and benefits structure comparable with the best in the industry. The amenities provided by us, be it uniforms, toilets, special allowances etc, are all aimed to ensure the best working environment for these employees. This strike in two of our facilities has been motivated by misguided interests. This is not only hurting the customers but also the interest of the workers. We are ensuring alternative delivery operations to make sure that all our shipments affected by this strike are reaching the customers in the quickest possible way." Vector Ecommerce, Myntra's distribution arm, offered a similar line: "Vector is committed to providing its employees a safe and secure work environment. We have and will always continue to provide all our employees healthy and work conducive facilities, the very best across the industry. These is unfounded speculation being driven by certain vested interests attempting to misguide personnel." As per a report in ET retail..